The Foundation to Illuminate America’s Heroes announces the addition of Anthony J. Bajdek, President/Founder of the American Association of the Friends of Kosciuszko at West Point to the International Advisory Board to assist the Foundation in the development of a Hollywood feature film to tell the inspirational true story of Merian C. Cooper and the Kosciuszko Squadron. The Foundation to Illuminate America’s Heroes announced today the addition of Anthony J. Bajdek, President/Founder of the American Association of the Friends of Kosciuszko at West Point, to the growing list of members of the International Advisory Board of the Foundation, whose purpose it is to develop a Hollywood feature film telling the inspirational story of Merian C. Cooper and the Kosciuszko Squadron to the whole world. Mr. Bajdek, in addition to his work with the American Association of the Friends of Kosciuszko at West Point, is National Vice President for American Affairs of the Polish American Congress. He is President/Founder of the Polish American Congress of New Hampshire, Immediate Past President of the Polish American Congress of Eastern Massachusetts and Associate Dean (ret.) and Senior Lecturer in History at Northeastern University. Mr. Bajdek was named by the Am Pol Eagle in 2008 as “Citizen of the Year” –“as a man who actively promotes Poland in academic and political circles.” In 2008, in Krakow, Poland he was awarded a special Kosciuszko Medal by the Kosciuszko Mound Committee (Kopiec Kosciuszki) in recognition of promoting the "kindred spirit and purpose" of the Committee and the American Association of the Friends of Kosciuszko at West Point. He was named "Distinguished Polish American for 2004" by the New England Chapter of the Kosciuszko Foundation. The Republic of Poland presented him with the “Knight's Cross of the Order of Merit of the Republic of Poland” at West Point in 2002 for his efforts to perpetuate the Annual Kosciuszko Observance at the Academy, as well as for his service to Polonia generally. Since 2004, Mr. Bajdek has also worked tirelessly through the Polish American Congress to enlist support in state legislatures for passage of Visa Waiver for Poland Resolutions which memorialize the Congress and President of the United States to admit Poland to the Program. To date, twelve state legislatures, namely, MA, NJ, VT, PA, CT, ME, NE, NY, OH, MI, AZ, IL and MA (for the second time) in that order have passed resolutions supporting Poland's admission to the Visa Waiver Program. He is currently working for passage of such resolutions in NH, RI and TN as well. "Poland's exclusion from our nation's Visa Waiver Program is unworthy treatment of a loyal friend and ally of the United States," Mr. Bajdek stated, and adds that "were Kosciuszko -- a man of principle, loyalty, honor and courage in the matter of freedom, independence, democracy and equality for our 'Glorious Cause' in America's War of Independence -- to be around in 2012, he likely would refuse invitations to travel to the United States so long as his fellow Poles could not freely travel here, visa-free travel to the United States being enjoyed by the citizens of all member nations constituting the European Union except for Poland, Bulgaria and Romania." ** Dr. Michael Peszke, Emeritus Professor of Psychiatry, University of Connecticut, Consultant to the Kosciuszko Squadron Exhibit at the New England Air Museum which was supported by the Polish-American community, and a Historian who has published numerous works on Polish Military history, including the Kosciuszko Squadron. ** Michael Orzachowski , a journalist and writer in Poland. He is the author of the screenplay “Wings of Freedom-1920”, a screenplay about the true story of Merian C. Cooper and the Kosciuszko Squadron in the Polish-Soviet War of 1919-1920. His screenplay received a scholarship and is supported and backed by the Polish Film Institute in Poland. ** Mr. Pawel Biel is a Polish-American Cinematographer based out of New York City. He has worked on a number of films, documentaries and commercials for clients including Warner Brothers, the History Channel, SYFY, BRAVO, BBC, NBC and ABC. The story of Marian C. Cooper and the Kosciuszko Squadron has greatly influenced and inspired Mr. Biel’s work and life. He is originally from Krakow. ** Mr. Tomasz Jegierski is the founder and CEO of FT Films in Poland. He and his company specialize in the production and distribution of true historical films. FT Films is recently doing promotion and distribution of “Five Days of War” about the war in the Republic of Georgia, staring Val Kilmer, Dean Cain and Andy Garcia. The film, directed by Renny Harlin, will have a Polish premiere at the Krakow Film Festival on April 14, 2012. ** Igor I. Sikorsky, Jr., Esq. , son of aviation pioneer and Founder of Sikorsky Aircraft, Igor I. Sikorsky, has been active in aviation history both as a lecturer and author. Active in the Polish American groups as Vice President of the Polish American Cultural Club of Greater Hartford and Counsel to the National Polish American Cultural Club. Mr. Sikorsky has been involved in the presentation of the history of the Kosciuszko Squadron and the role of Merian C. Cooper as an American hero. The Foundation’s achievements in establishing a tax exempt charitable entity, creating and launching a website and embedded YouTube feature film treatment, becoming known and naming Merian C. Cooper as the “Greatest American Hero of the Twentieth Century” and his involvement with the Kosciuszko Squadron as the “Greatest Story Not Yet Told”, are hallmark achievements. The work of the Foundation and this Merian C. Cooper/Kosciuszko Squadron feature film project have become known internationally. These remarkable achievements have been funded by a small group who have a passion for the mission of the Foundation to seek out and illuminate the lives of true American heroes, past and present, and they share a vision of illuminating the inspirational story of Cooper and the Kosciuszko Squadron through a Hollywood feature film so that present and future generations can be inspired. “The Foundation is now looking for broad support to get this story told”, said Jamison. “The Foundation has set an initial goal of raising $1 million dollars which will take us through Step Two, securing a Hollywood screen writer and Director for the feature film, plus the necessary expenses to take us to the next level. We are appealing especially to those in the Polish American community to take the lead in helping and supporting the Foundation to tell this inspirational story that links two great nations, the United States and Poland. The Foundation’s website at http://www.iluminateamericasheroes.com contains the story of Merian C. Cooper and the Kosciuszko Squadron, told through an embedded YouTube video, entitled: “The Greatest Story Not Yet Told!” The written film treatment, “Honor To You” can be clicked and read within the website. The website also contains a donation link which allows everyone who supports this great story and mission to make tax exempt donation of any amount. All donations will greatly help the Foundation to illuminate this heroic story to the whole world. Supporting Partners can support this great cause at several levels: Platinum Supporting Partners, those giving $10,000 or more; Giold Supporting Partners, those giving $5,000 up to $9,999; Silver Supporting Partners, those giving $1,000 up to $4,999; Bronze Supporting Partners, those giving $500 up to $999. All gifts to the Foundation are fully tax deductible in the current tax year. Supporting Partners should make checks payable to the Foundation to Illuminate America’s Heroes, Inc. and mailed directly to the Executive Director at 104 Bristol Court, Dothan, AL 36303. 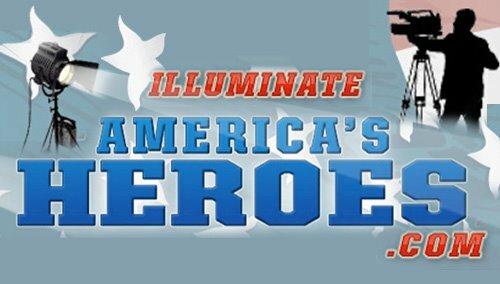 For further information and questions about the Foundation and the Marian C. Cooper/Kosciuszko Squadron Film Project, please contact David C. Jamison, Executive Director at davidj(at)illuminateamericasheroes(dot)com or by calling (334) 718-9501.